India has a rich history – replete with dynasties, wars, fratricide and other intrigues; different empires at different times have left behind treasures in terms of architecture, literature and political thought. India also has a rich religious past – apart from Hinduism, it is the country that saw the birth of Buddhism, Jainism and Sikhism, as well as Bhakti and Sufi movements. We all know this. And anyone who has studied in India also knows that our rich history is often presented in the most boring fashion, and all we might remember are dates and names of some kings at the end of our school education. Fortunately, many authors and publishers are attempting to set this wrong right. While there are delightful historical fiction books for different age groups now, Rupa Publishers has also been at work – creating non-fiction books to help make sense of the madness of Indian History. A Children’s History of India by Subhadra Sen Gupta is the newest offering from Red Turtle, the children’s book imprint of Rupa Publishers. The book is straightforward. It has organized the different periods of Indian history into sections and then into chapters in a chronological fashion; each chapter details the backdrop of those times, the political events, and the lifestyles of its people. What sources tell us about that period, and how that period set the stage for the future of modern India are well established. There are interesting nuggets of information, including trivia boxes, what was happening in the rest of the world at that time and where to seek more information. Among other things, I learnt that the Muslim baked khamiri roti and the Hindu fried puri were combined to make the parantha! What I really liked about A Children’s History of India was its structure, the simple conversational language and facts that young adults need for their school years. Subhadra has separated the wheat from the chaff, done away with superfluous details and yet, made the book interesting and a pleasure to browse through. 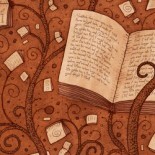 I did not care for the illustrations in the book though – I felt they did not add much to the content. 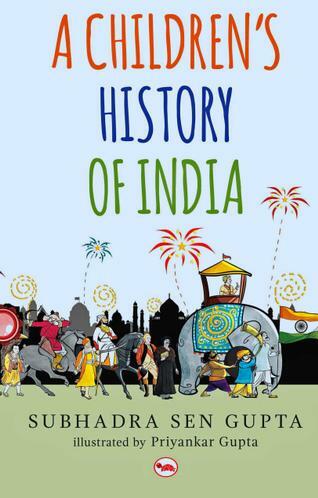 A must have book – for a child, parent, teacher, school – and anyone who wants to read Indian history without superfluous details!! This entry was posted on July 16, 2015 by Preeti Singh in Book Reviews, Kids, Non Fiction, Young Adult and tagged A Children's History of India, Indian History, Red Turtle., Subhadra Sengupta.